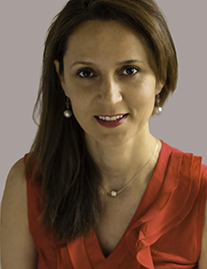 Irina has a broad background in immunology and developmental & stem cell biology. At the University of Minnesota, Irina studied the role of Lim1 in head formation, as well as kidney and heart development in the Bill Shawlott lab. In 2003, Irina moved to Seattle to work on understanding the renewal/differentiation decision in germ stem cells in the Bob Braun lab at the University of Washington. She later joined the Alan Aderem lab (Institute for Systems Biology, Seattle BioMed) in 2007, focusing on the mechanisms of inflammasome activation in immune cells. Irina has a strong interest in utilizing integrative approaches to understand the factors and mechanisms that regulate the inflammatory response and applying this knowledge to the development of novel therapies. In her spare time, Irina enjoys learning new things, meeting new people, traveling, spending time with her family (including her dog, Cowboy), running, and playing tennis. 1. Aachoui Y.†, Leaf I.A.†, Hagar J.A.†, Zak D.E., Campos C.G., Cotter P.A., Aderem A., and Miao E.A. Caspase-11 protects against bacteria that escape the vacuole, Science. 2013 Feb 22;339 (6122): 975-8. †These authors contributed equally to this manuscript. 2. Miao E. A., Leaf I.A., Treuting P., Mao D.P., Dors M., Sarkar A., Wewers M., Aderem A. Caspase-1- induced pyroptosis is an innate immune effector mechanism against intracellular bacteria, Nature Immunology 2010. Dec; 11(12): 1136-1142. 3. Warren S.E., Armstrong A., Hamilton M.K., Mao D.P., Leaf I.A., Miao E.A., Aderem A. Cutting edge: Cytosolic bacterial DNA activates the inflammasome via Aim2, Journal of Immunology 2010 Jul 15; 185(2): 818-21. 4. Miao E.A., Mao D.P., Yudkovsky N., Bonneau R., Lorand C.G., Warren S.E., Leaf I.A., Aderem A. Innate immune detection of the type III secretion apparatus through the NLRC4 inflammasome, PNAS, 2010 Feb 16: 107(7): 3076-80. 5. Leaf I., Braun R. E. Germ cell pluripotency markers display distinct expression patterns in undifferentiated spermatogonia (unpublished work). 6. Leaf I., Tennessen J., Mukhopadhyay M., Westpal H., Shawlot W. Sfrp5 is not essential for axis formation in the mouse, Genesis, 2006 Dec: 44(12): 573-8. 7. Petryk A., Anderson R.M., Jarcho M.P., Leaf I., Carlson C.S., Klingensmoth J., Shawlot W., O’Connor M.B. The mammalian Twisted gastrulation gene functions in foregut and craniofacial development, Developmental Biology, 2004 Mar 15; 267(2).